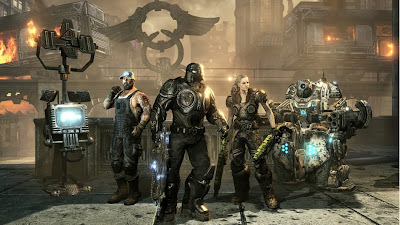 In Gears of War 2, Marcus Fenix and his COG forces were forced to destroy the Jacinto plateau, the last major city on the planet Sera since the appearance of the Locust on Emergence Day seventeen years prior, to flood the Locust tunnels and slow the spread of Lambent, Locust creatures mutated by their exposure to the energic liquid known as Imulsion. Now the battle rages towards an epic conclusion. 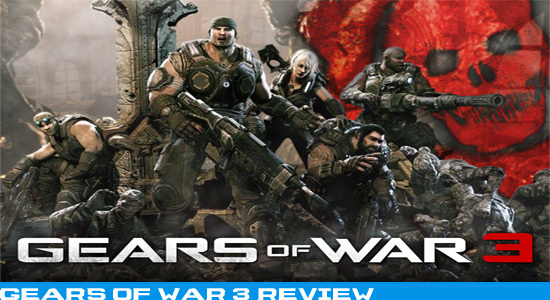 Gears of War 3 is finally here and after a delay the series can finally be absolved. This game is mind-blowingly polished and it is tough to truly appreciate all the beauty in one playthrough. It is still the same third person shooter you would expect, but everything is well maintained. The online is now seamless between campaign and multiplayer. Not to mention all of the brand new modes that have been added to play. A vast cast of characters that have actual stories which is a huge leap forward from Gears 1. There are finally some new colorful locations which look stunning via the Unreal Engine. Not to mention Ice-T as Aaron Griffin. There are a few issues though I was expecting them so they are really a personal problem. The story is far too predictable as is the cast of characters that will live and die. The AI is also a bit too aggressive and they are a bunch of kill stealing jerks. Beast Mode also did not really have any tutorial or explanation to it so you are pretty much learning as you go. Well those are pretty much the only issues aside from how addictive the multiplayer modes are. 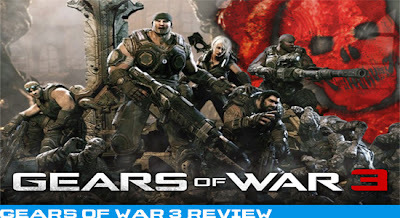 Gears of War 3 is the best game of the series, even though it is rather predictable. They did end the series, however there was also some wiggle room if they wanted to make a sequel or a couple DLC to tie up some angles. If people hate this series it is merely because they dislike video games or they cannot appreciate great things like the Eiffel Tower. Yes…I just compared a game to a world renowned structure. 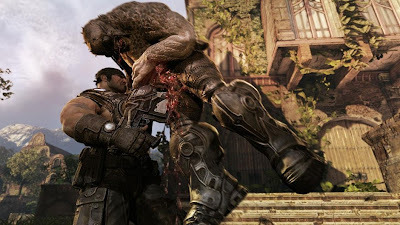 If you own a 360 and have never played any of the Gears game you should be thoroughly ashamed and give that console to someone that can properly utilize it.